We start the work making a leaf center of double crochet stitches, treble stitches and chain spaces. This part make the leaf unique. Then we continue work in the round with single crochet stitches made in back loops. 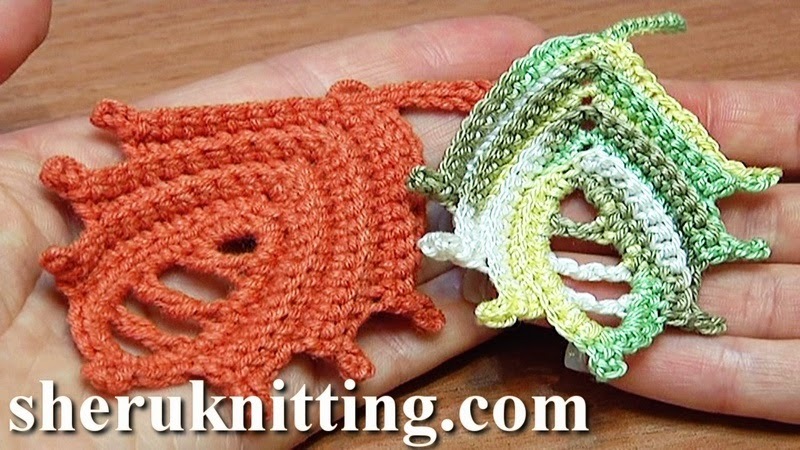 You can make this kind of leaf with picots or without. The result will be the same beautiful. Enjoy!